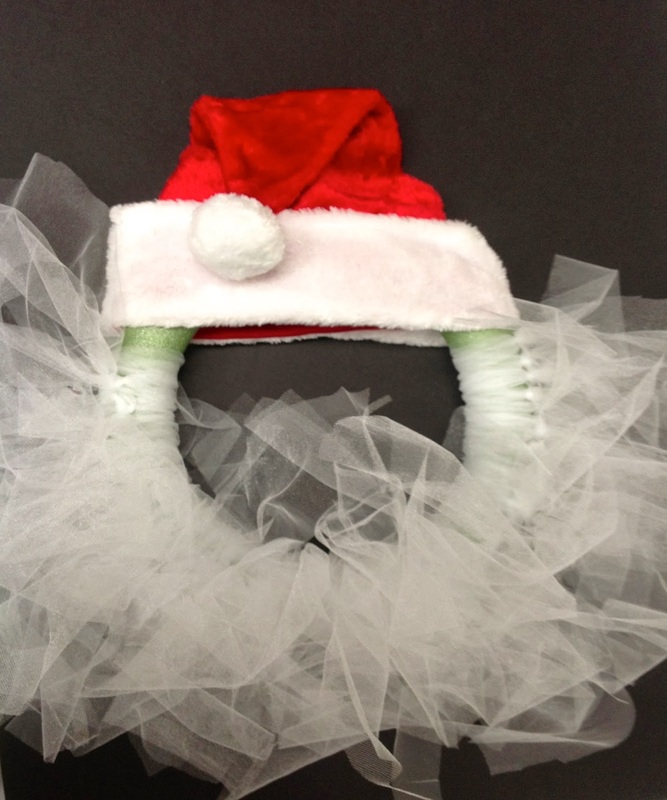 The Santa Tulle Wreath is a really fun and cute project for anyone's home. Take your white tulle and cut into two inch wide strips. Tie around your wreath and push close together. Do this until your Santa's beard is really full. Then glue on the Santa hat on the top of the wreath. Take a ribbon and glue it to the back of your wreath and then hang it on your door! In our picture I only had a green floral wreath, which obviously doesn't look as great, but it still is a really cute and fun idea!